A train company turns to a voice assistant to try to make the experience more seamless for visually impaired passengers who are booking assistance. Virgin Trains offers customers a new way of booking assistance during travel on its routes. It has developed a skill for Amazon Alexa-enabled devices. Emma Tracey tries it out for us and Vic Whitehouse from Virgin Trains explains why they've developed it. Hester, an eleven-year-old visually-impaired student from Bath, is going on a fund-raising journey to Ethiopia. She'll be visiting other visually-impaired schoolchildren and doing a 5km run to raise money for the school. Hester says she's nervous but looking forward to the experience. Mike Lambert believes more resources and effort should be put in to inclusion for visually-impaired people, after Liz Smith, a Conservative in the Scottish Parliament, put forward a motion questioning the current "presumption of mainstreaming" for visually-impaired students. He explains his personal reasons for why he is sure inclusion should work. This is In Touch. The magazine programme for people like, who are blind or partially sighted! I'm Peter White. Thanks for downloading this week's edition. Good Evening. Tonight, a simpler way to book, help for your train journey! Well that's the claim and we've been trying to out! And a longer journey for 11yr old Hester of to Ethiopia, to find out just how different life there is for blind pupils! And the In Touch columnist, who wishes his school life, had been different for him when he lost his sight at the age of 16. But first, Virgin Trains announced today a new way for visually impaired passengers to book assistance for their rail journeys. It involves using voice commands through Alexa enabled devices. Now until now, to book your assistance, you'd either have to fill in an online form or request it via a call centre, so who well does this work? Regular train user Emma Tracy has been trying it out for us. I understand the 12.58pm from Haymarket to Carlisle on the 13th of March, is this the journey you'd like help with? Great! I just need to ask you a few questions to arrange your assistance, so we can help you when you arrive at Haymarket. Can you tell us how you're getting to Haymarket? So we can help you continue your journey, can you tell us how your travelling onward from Carlisle? As this is your first time booking Journey Care, I need some extra information from you! I've just sent some really easy instructions to your Alexa app. Take a look! And then when you're finished, re-launch Virgin Trains, ask to book Journey Care and I'll sort it for you. Ah okay, so I've had to be really determined to get that booked and I'm not even sure I got the train that I was supposed to get! But anyway, I will go and I will come back to you once I have filled in whatever they want too on the Alexa app. So the ever helpful Alexa doing her very best to be of service, but it seems it wasn't quite so straightforward as just talking to the device. It directed Emma, back to her Smartphone. In the end though, she was able to make a request for assistance. Do you need any help with your luggage on this trip? Okay, got it! I've sent those details onto the team; they will be in touch shortly confirming your Journey Care booking. Well to tell us more about, I've been talking to Virgin's Inclusion Lead, Vic Whitehouse. She began by telling me why they developed it? So it was a natural progression for us Peter. We wanted to explore what else we could do around Alexa and the Journey Care voice activated booking assistance was was just the perfect fit really. Did you suspect that some visually impaired people were having problems with booking Journey Care? I think Journey Care for anyone booking it, you know it it depends what needs the customers got and and to test this out, we actually did a trial. So we've got an inclusion panel that we run at Virgin Trains and we invited, members of that inclusion panel of which two customers involved in that panel have visual impairment and asked them to come along and and test Alexa's skill-set out with us. And and what did those tests tell you basically, about how well this worked? I mean presumably it did work well or you wouldn't be introducing it! So what, what was the evidence from the trials? When we ran the trials, we we recognised that one of the biggest pieces of feedback that we got from customers with visual impairment is the ease of booking, in terms of it reduced the amount of time they actually took to book Journey Care. So ordinarily, they'd have had to have called a call centre and we had, had feedback about call centre times being quite long, cos there's a form that you have to go through. So when you setup your your profile, where is that information stored? So that information is held in the Virgin Train skill on Alexa and that's actually kept in there, so it enables customers that are rebooking Journey Care in the future, to book the Journey Care quicker. But there is an option to opt out of actually the skill holding your data as well, so if people don't want the skill told the data, obviously that will make the booking time a little bit longer, so they'll have to say it all again but there is the opt out option there. Vic Whitehouse, Virgin Trains Lead on Inclusion. And by the way if you're using something like Alexa isn't what you'd normally do, you can still phone or book online. So what about the other train companies, what are they up too? Lee Kumutat has more details about that, Lee! Well our relentless research Lucy Edwards contacted every rail company in England and Scotland. The Stagecoach Group, which jointly runs Eastern Midlands and Virgin Trains West Coastline say "They will be monitoring the project with Alexa and Journey Care closely". Eurostar does have a voice assistance skill, which allows you to check your train status and search for the cheapest fare, but at this point, doesn't let you book your ticket or your assistance. TransPennine Express, Heathrow Express and ScotRail are all looking at using voice assistance like Google Home or the Apple Home Pod in the future. You can plan a journey using the National Rail Skill on Alexa, but can't book your assistance. The others either didn't respond or have no plans at present! But the Rail Delivery Group did tell us, they had developed a Smartphone App for booking help with your rail journeys, which is being trialled at the moment. It will they say, allow customers to setup a personal profile and give staff live updates, so they can provide a better service and accommodate short notice requests. They confirmed that, blind and visually impaired people are taking part in the trial and the app is planned for release in the autumn. Lee Kumutat. Thank you very much indeed! And do tell us how you get on if you use the Virgin System. Details of how to get in touch with us at the end of the programme! Now 11yr old Hester is off on a journey as well, rather beyond the range of travel assistance. She's going to Ethiopia to take part in a run to raise funds for the McKaley School for Blind Pupils in the district of Teagray. She'll also be attending lessons at the School, to find out more about how her counterpart's experiences differ from hers. Well when she joined me from her own school King Edwards in Bath, she told me, how she'd become interested in Ethiopia. Well it all started when there was a charity in my Primary School and we had to hang up clothes on a washing line and I was quite interested in the charity, so that's when I started getting involved. And my friend's mother is I think it's a Chairman of the Charity, so that also helped with the connection. Because clothes clearly are scarce! I mean what do you know already about to what it's like for pupils in Ethiopia? I know that their education is quite basic and they don't really have all the equipment that I have and I'm going to give them all of the things that they need. And also, it's not just their lessons, it's their social life's and the grounds around them that also are quite sort of they need developing. So in a way, you you feel as if you've been quite lucky in a way, you want to pass it on? Yeah, I I've been quite lucky with my education. I've basically got everything I need for any independent school life and I want to give them that opportunity to be independent. Are you nervous about this at all? Its gonna be quite a big step going out to Ethiopia, but it will be very exciting! And do you have any idea what, you know what a lesson would be like, you know cos your gonna be going into classes? I just wondered if you've got any idea of how different that might be from what happens at King Edwards? No I'm not really sure, what's gonna happen, so I think we're gonna learn! So it'll be interesting to find out what it's like. Now you've got a bit of a history of fundraising haven't you? This isn't your first venture by any means, and I think last year you undertook a 100 sports in a 100 days to raise money for your visually impaired skiing team? Yeah that's right; it was quite intense but a very fun summer! Give me something like names, well what kind of sports did you do? Ooh from indoor ski-diving to unicycling to archery, I didn't much like that one! They gave me a mask, I couldn't see anything! Yeah, I did a huge range of sports and it was very fun. I met some incredible people along the way! It must have been pretty exhausting, a 100 sports in 100 days? And my knees haven't been the same since! Now would you be willing and this is we're throwing this at you, I haven't even warned you! What we'd love is if you'd be willing to maybe do a few recordings for us while you're there with the right amount of help, about your experiences? Ooh yeah that I could do that, yeah sure! So you reckon you could do that? Yes I think so and yeah like! I'm just looking forward to sort of experiencing what they experience and building on that to make their education more accessible and fun and yeah, just getting the experience. Now you you've talked about sports! Just tell us a bit about the the run, where...where is that and who will you run with? That's in Addis Ababa in the middle of Ethiopia. And it's the women's first run and I'm doing it with my ski guide Charlotte Evans who coaches me. In the past, she won a gold medal; with her previous VI athlete called 'Kelly Gallagher' and that was quite a big achievement for them both! And how long is you're your run? How tough a run is it? Oh, it's 5k, so quite a big sort of run but it will be okay! Have you run 5K before? I would have thought with 100 sports in a 100 days, that that will be nothing for you! Yeah, I do the park run every week so! Mm! Of course, Ethiopia is at at quite a height isn't it? Is that, have you been warned about that? Yes I've heard it's good and bad, because altitude it will be quite hard for the run, but at least I didn't have to have the malarian yellow fever tablets! Why, have you already had them? Yeah I've already had my jabs! And I gather there are some quite steep and tricky hills as well? Yeah! Its gonna be up and down, up and down a stumble trip along the way! Well, very good luck. And thank you very much for joining us! Well we certainly hope to be hearing more from Hester about her trip later on! It certainly sounds as if she is thriving at her mainstream school in Bath. But a few weeks ago, we heard on the programme how a motion had been introduced into the Scottish Parliament, which sought to question the presumption that mainstream education was always the best option for disabled pupils. The interview with the MP, who introduced it, prompted this personal response from Mike Lambert. When I was 16, I lost my sight in an accident! Back in 1972, the idea that with support, I could continue at my local school wasn't even considered. Part of the problem was I already attended a segregated school, where all the pupils were non-disabled. None of us had a clue about disability or what it might take to include someone with sight loss! My teachers and parents were relieved and grateful to receive the glossy brochure from the special school. Thank God, such centres of expertise even existed, why I could carry on my education. And so without further ado, I was despatched to a school for the blind far from my home in London. But what happened over the next 3yrs set me wondering about the desirability of educating disabled and non-disabled children in separate institutions. Admittedly, my special school gave me the grades I needed for University, but it was academic success at a very high price in terms of my social and emotional wellbeing. For one thing, losing my sight then immediately being sent away to a special school, created a painful sense of isolation. Just when I needed the most, I was separated from my family and community and slowly but surely, lost touch with my old friends. Meanwhile, what I was finding out about my new school; did nothing to help me adjust to the social and emotional consequences of sight loss. Back then, the level of institutionalisation was alarming. Many of its 90 boys had attended the same special schools since kindergarten. No wonder, they developed a shared culture, which I found impenetrable and cut-off from teenage life as I knew it! When my parents came to visit, I hoped they wouldn't notice the boys aimlessly rocking from side to side and the shocking standards of hygiene demonstrated by some of my new classmates. And just at a time, when I was working out what it meant to be blind in a sighted world! These, were some of the role-models that surrounded me. Following university, I trained as a teacher and spent most of my career coordinating support for disabled youngsters studying at their local mainstream college. I saw how with the right resources, visually impaired students could succeed on vocational and academic courses across the curriculum. And I know there's no overwhelming practical reason, why blind or visually impaired children need to attend special schools. Hardly a day goes by, when I'm not confronted by strangers, made uncomfortable or anxious by my disability. It's nobody's fault! Most likely, I'm the first blind person they've ever had dealings with! Almost as surprising, are those people I encounter who aren't the least bit phased by my situation. And often, this turns out to be because they had some early positive experience of disability or difference, either within their family or a school that had an inclusive ethos. How could it be otherwise? You can't just separate people throughout their formative years' then expect them to get along and negotiate their differences as adults. And if I'm right, then mustn't there be a connection between the special school system and our society's failure to adequately include disabled people in the workplace and other adult settings! Inclusive education is a human right, that's the view of the United Nations in its Convention on the Rights of People with Disabilities. Unfortunately, although the UK is a signatory of this UN Convention, our government maintains a legal reservation against inclusive education. The best we have is a presumption of mainstream. And in practice, this presumption is so shot through with caveats and legal loopholes that parents find it extremely difficult to insist on a mainstream placement. The Scottish Parliament has approved Liz Smith's motion and they'll now be an official review in to how this presumption is being implemented. Hopefully, those conducting this review will see the advantages of a system where disabled and non-disabled children learn about the world and one another in the same properly resourced classrooms. Mike Lambert. And I'll be very surprised if we don't have a few reactions to that! 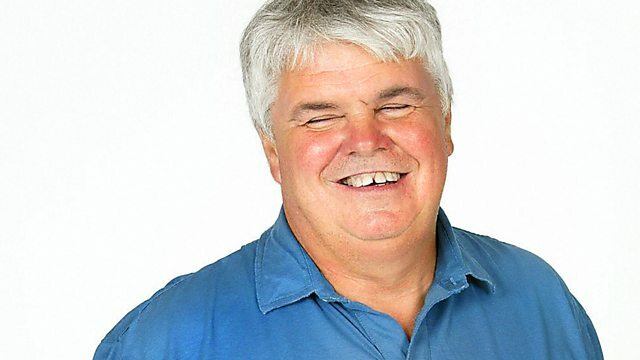 If you want to react to anything in the programme, you can email us at, intouch@bbc.co.uk or you can go to the contact us link on our website and that's www.bbc.co.uk/intouch or you can leave a message on 0161 836 1338. 1338 do please leave us a number, if you'd like us to get back to you. We can't promise, but we'll do our very best. What's in next week's programme, we'll even we're not sure yet! But one thing we can promise you that debate about whether blind actors should always get first dibs when it comes to playing blind parts. In one corner; stand-up comedian Chris McCausland! In the other, actor Chloe Clark! Do join us for that. From me Peter White, Producer Lee Kumutat and the Team, goodbye!